Below you fill find all funeral homes and cemeteries in or near Laguna Hills. Suburbs of Laguna Hills: Laguna Beach, Laguna Woods, Aliso Viejo. 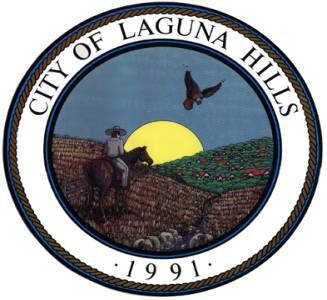 Laguna Hills is also known as: Orange County / Laguna Hills city. Their current mayor is Mayor Dore Gilbert. Zip codes in the city: 92637, 92653, 92654, 92656. Some of the notable people born here have been: Tayyiba Haneef (volleyball player), Chad Carvin (swimmer), J.D. Cantrell (actor), and Zo� Raye (actor). It was noted by Orange County Register on March 13th, 2019 that Charles Stanley Enos passed on in Laguna Hills, California. Enos was 72 years old. Send flowers to share your condolences and honor Charles Stanley's life. It was revealed by Orange County Register on March 6th, 2019 that Enrique A Hernandez perished in Laguna Hills, California. Hernandez was 80 years old. Send flowers to express your sympathy and honor Enrique A's life. It was disclosed on March 1st, 2019 that Monica Jeanne miss "Gigi" Reynolds passed away in Laguna Hills, California. Reynolds was 60 years old and was born in Portland, OR. Send flowers to express your sorrow and honor Monica Jeanne miss "Gigi"'s life. It was noted by Orange County Register on February 16th, 2019 that Scott Kai Peterson passed on in Laguna Hills, California. Peterson was 61 years old. Send flowers to share your condolences and honor Scott Kai's life. It was revealed by Orange County Register on February 14th, 2019 that George Young perished in Laguna Hills, California. Young was 85 years old. Send flowers to share your condolences and honor George's life. It was reported by Orange County Register on February 5th, 2019 that Doris Anne Futrman passed on in Laguna Hills, California. Futrman was 91 years old. Send flowers to express your sympathy and honor Doris Anne's life. It was written by Orange County Register on February 3rd, 2019 that John Day Horrall perished in Laguna Hills, California. Horrall was 96 years old and was born in Spokane, WA. Send flowers to express your sympathy and honor John Day's life. It was disclosed by Orange County Register on February 2nd, 2019 that Doris Sue Maxwell passed on in Laguna Hills, California. Maxwell was 99 years old. Send flowers to express your sympathy and honor Doris Sue's life. It was written by Orange County Register on February 1st, 2019 that Stephen "Steve" Hostetter died in Laguna Hills, California. Hostetter was 55 years old. Send flowers to express your sympathy and honor Stephen "Steve"'s life. It was written by Orange County Register on January 30th, 2019 that Stephen "Steve" Hostetter passed away in Laguna Hills, California. Hostetter was 55 years old. Send flowers to share your condolences and honor Stephen "Steve"'s life. This area also is home to the Laguna Hills Mall, bringing vast wealth to the small city's finances by having a major mall in its borders. The mall caters primarily to the community of senior citizens, Laguna Woods Village. Located Off El Toro Road in the northern most portion of the city is the new Laguna Hills Civic Center and City Hall. Laguna Hills is a city located in southern Orange County, California. The mall is anchored by Sears, Macy's, and JC Penney, but suffers by being in between the more upscale Shops at Mission Viejo 5 minutes south and the Irvine Spectrum 5 minutes north, both offering more shops in a more modern design. The official website for the city of Laguna Hills is http://www.ci.laguna-hills.ca.us. Maldonado could not be reached for comment because he was attending a relative's funeral in Mexico ... Michelle Steel of Rolling Hills, who represents much of Southern California outside Los Angeles, won reelection with 55% support. State Sen. Here are the results for funeral homes in Laguna Hills California. You can find some of the best funeral homes businesses serving Laguna Hills. Funerals in Laguna Hills, CA on Yahoo! Local Get Ratings & Reviews on Funerals with Photos, Maps, Driving Directions and more. Find a Funeral Home inLaguna Hills, California CA to provide the caring burial and ceremonial services your family deserves. Laguna Hills Flowers And Balloons delivered by Everyday Flowers. Same day delivery order before 3PM PST visit our website and order flowers today 92653. We work with local florists and flower shops to offer same day delivery. You will find budget sympathy flowers in Laguna Hills here. Our funeral flowers are cheap in price but not in value.